Founded in 1740 by the Benedictine monks of the Abbey of the Holy Cross, the Castle Carbonnieux is one of the oldest estates of Bordeaux. Located in the Pessac-Leognan appellation, it is now owned by the Perrin family. 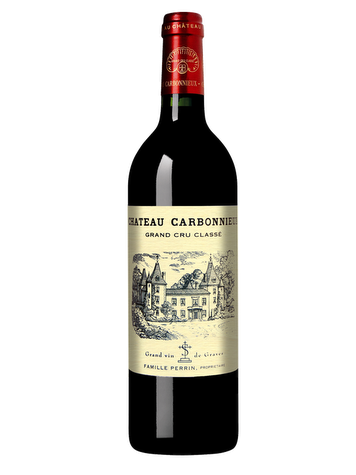 In 1959, the castle was classified Grand Cru in the classification of the wines of Graves, the Red and White. Terroir: Located in Léognan in Gironde, this large field of 92 hectares of vineyards is located on a beautiful gravel crest, naturally drained and rests on clay-limestone tertiary base. Viticulture: The farming is favored in order to preserve the vineyards. The harvest is done manually.